Silver - Onyx There are 2 products. Onyx - multicolour, striped or black, magmatic origin, semi-precious stone, most often found in Brazil, Russia and Uruguay. Brings success and wealth. Onyx is useful to wear after serious illness or just when you are tired if you want to strengthen your body to recuperate. Circle silver ring with black onyx mineral; it is a perfect shape symbolising continuity and eternity. 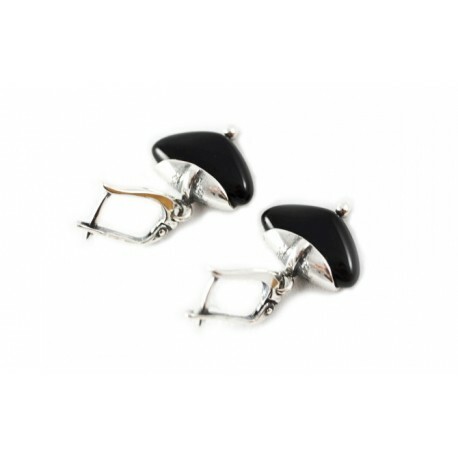 Silver earrings with onyx, the metal which is found in the hollows of the vulcanic rocks.